The future may be wireless, in fact so may the present, but there's still a market for wired in-ear buds, even in the running and gym headphones market. Bose makes some excellent buds for that very market, and right now its veteran wired in-ears are half price. This is one of several very choice Best Bose deals available right now. 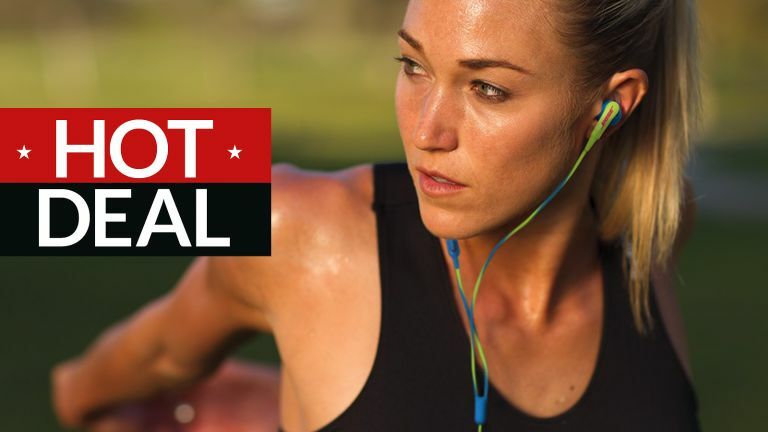 Bose says: 'SoundSport in-ear headphones are sweat-resistant and stay comfortably yet securely in place during vigorous exercise. An inline mic/remote lets you easily control volume, skip tracks and take calls, all without reaching for your device. If you favour a wired bud for your workouts, this Bose pair is an excellent choice. Audio is suitably pumping and the fit is really comfortable, yet stays secure even when you're maxing your efforts. Thanks to 'acoustic ports positioned to resist sweat and the weather, and hydrophobic cloth that keeps moisture out,' you don't need to worry about getting wet. The SoundSport buds come with a smart carry case, with a carabiner attached to it so you can, er, take it mountaineering with you. Or maybe just clip it to your belt. After a bigger Bose deal? These share the businesslike look, highly comfortable feel and advanced noise cancelling of Bose's QC35. However, unlike those market-defining cans the QC25 is not wireless. But then on the other hand, it's also now £150 cheaper. Under £125 seems a very reasonable price to pay for such a great pair of headphones. Even without the advanced processing of the QC35, Bose's noise-cancelling is still able to turn down the volume of planes and public transport, and does a decent job of reducing more testing, office- and street-type noise. Audio quality and comfort are excellent, and a single AAA battery (one is included) will last up to 35 hours. Unlike its Bluetooth brethren, you can then continue to listen to music on the QC25, although you'll lose the noise cancelling. Fairly unusually, Amazon/Bose is even offering the option of paying in 5 monthly instalments of £25.99 – in fact presumably that's how they arrived at the discounted price of £129.94. This comes up as an option on the Bose QC25 page on mobile, but on certain desktop browsers you have to opt for it at checkout. There's only one slight catch and it's that you need the inline remote to be specifically tailored for either iOS or Android devices, in order to work. And for whatever reason, only the iOS one has had this price cut. If you are an Android owner and only want to use the QC25 for music and not to make and receive calls, you may be able to live with this. What's that? You can't? You will have to pay a somewhat less appealing £239, then.